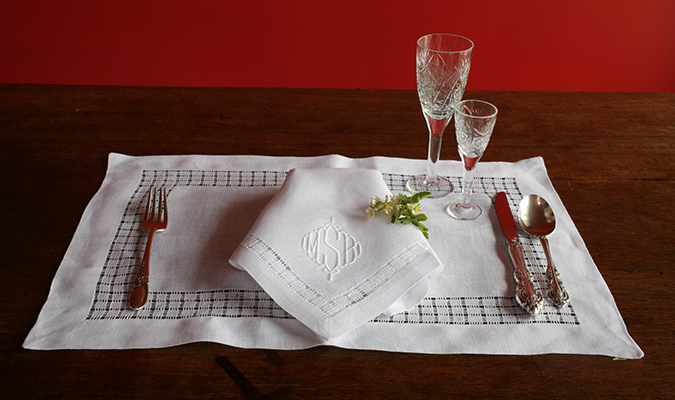 In the “modern” world, the word “linens” refers to the full array of fabrics used in the kitchen, bed, and bath. 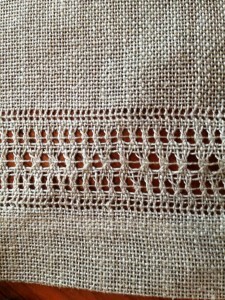 Once upon a time all the washable textiles in the home were from “real” linen – or flax. 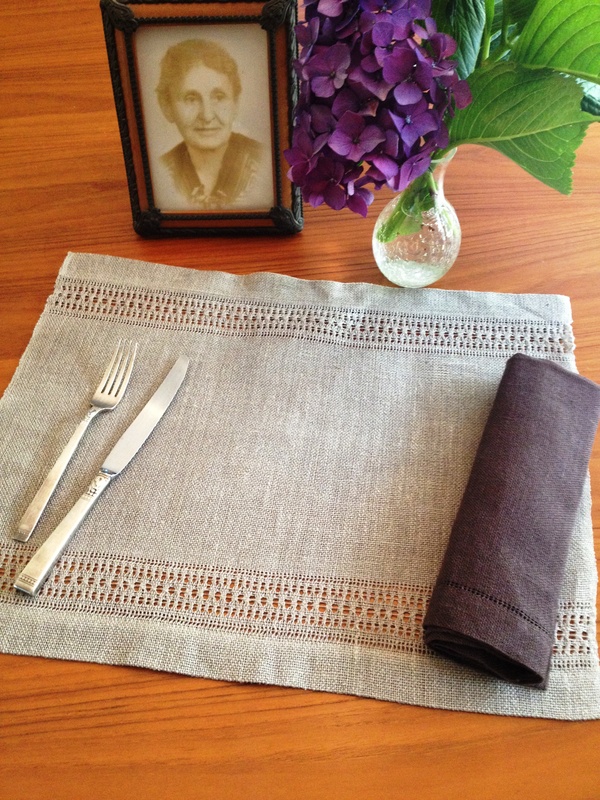 Cotton and polyester replaced linen after WWII, but are not true linen which is naturally lustrous, durable, washable, and elegant cloth for both grand occasions and every day use. 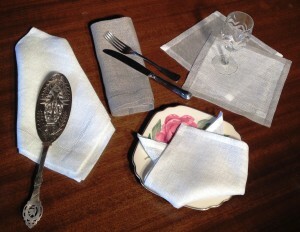 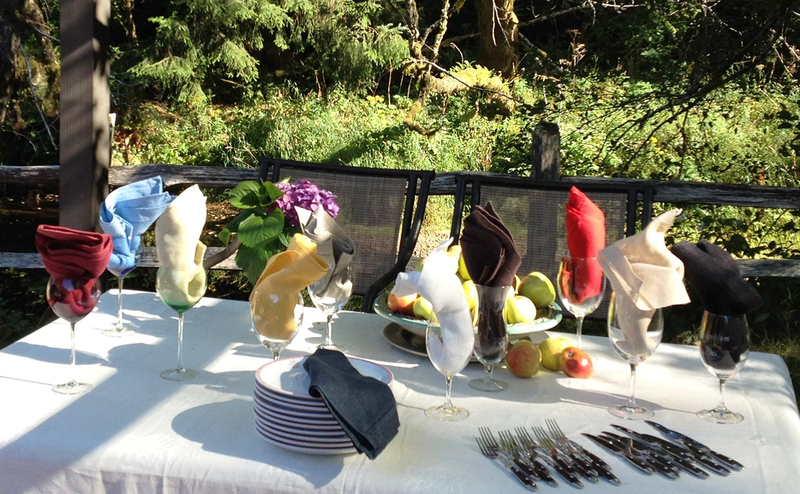 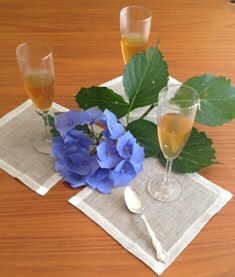 BALTIC LINEN DESIGNS offers a unique collection of table linens including custom sized table cloths, Decorative Runners, Place mats, Napkins in several sizes and finishes. 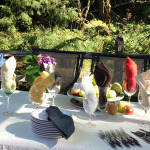 View the wide assortment in the photos below. 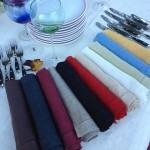 Contact us if you’d like to place an order. 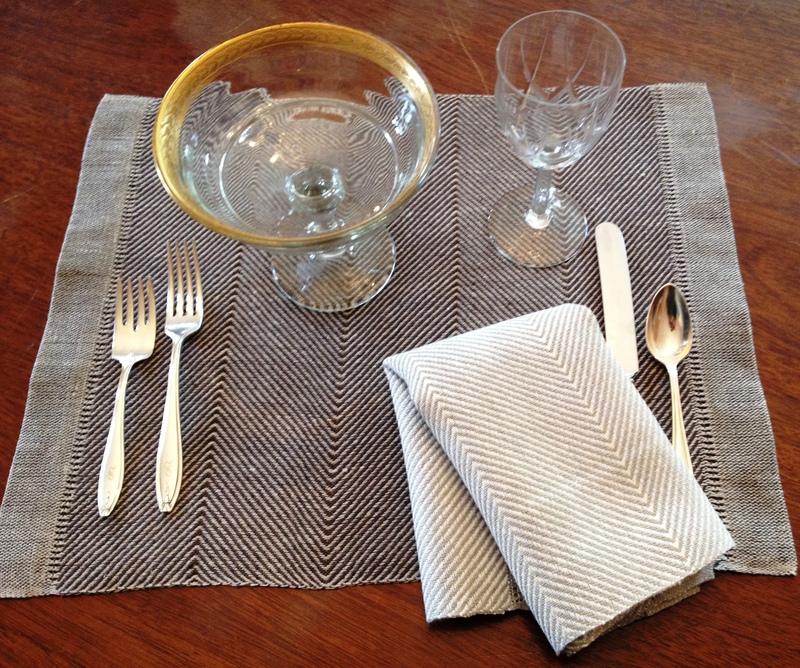 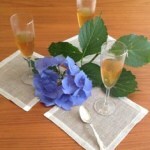 COCKTAIL NAPKINS: 8″X8″, Ecru with Natural Flax border or the reverse. 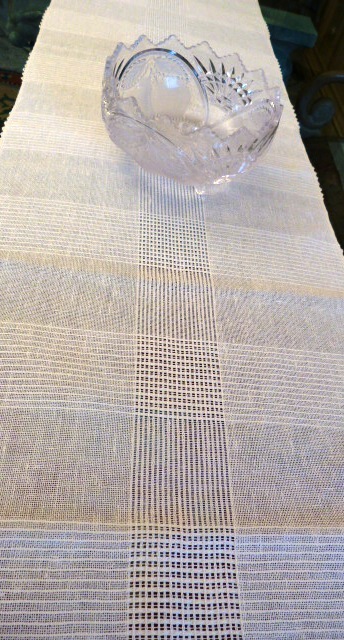 Flat hem. 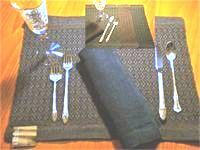 DINNER 19″x19″ Decorative Hemstitch on 2 sides, Stocked in 11 colors as shown. 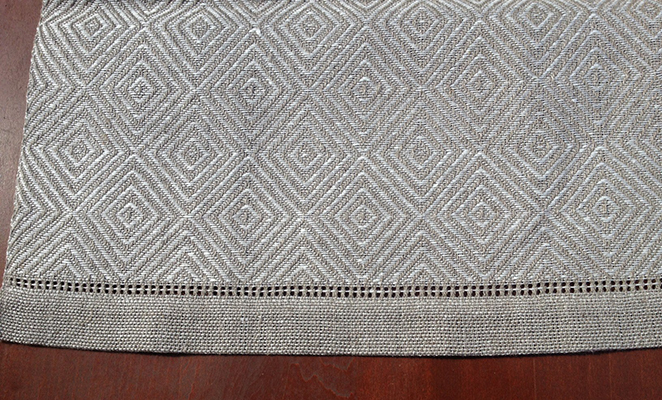 WEDDING 22″x22″ Decorative Hemstitch on 4 sides, 6 weeks delivery. 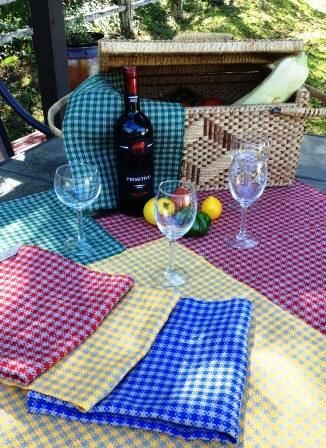 PICNIC 20″x20″ Flat hem as shown below, Stocked in 4 colors; Red, Blue, Green, Yellow. 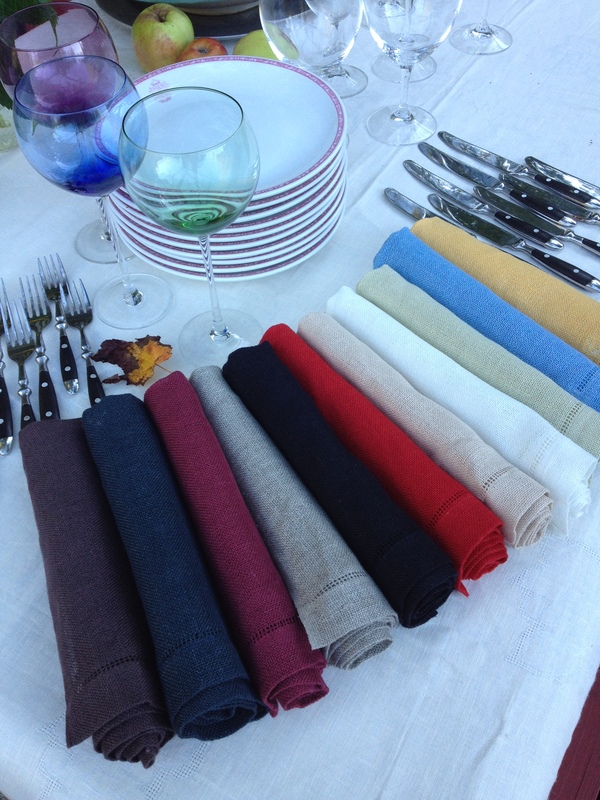 Choose from from an assortment colors; purchase a rainbow assortment, or choose the one to coordinate with dinning room decor. 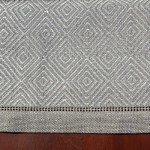 Choose from a wide variety of styles, from classic formal place settings with elaborate hemstitch borders, to more casual textured patters with flat or decorative hems. 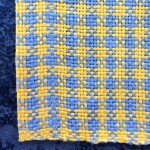 Sizes are approximately 19″x13″. 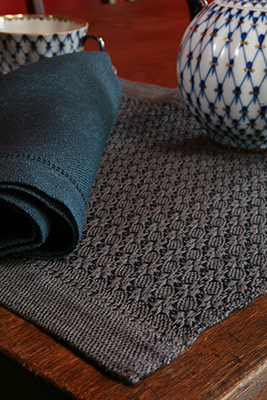 Pattern 222 for Placemat or Runner with Hemstitch on 2 sides. 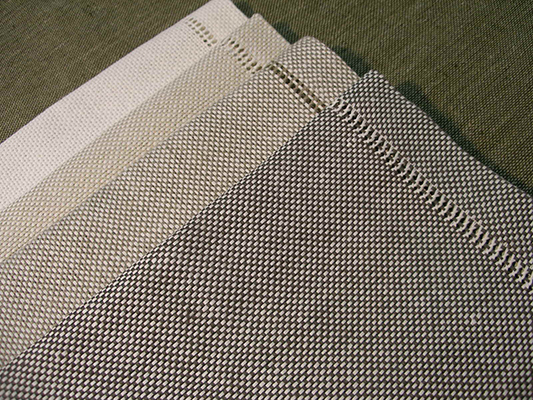 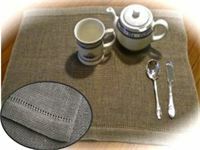 Standard Placemat size 13″x19″ Runners available in various sizes. 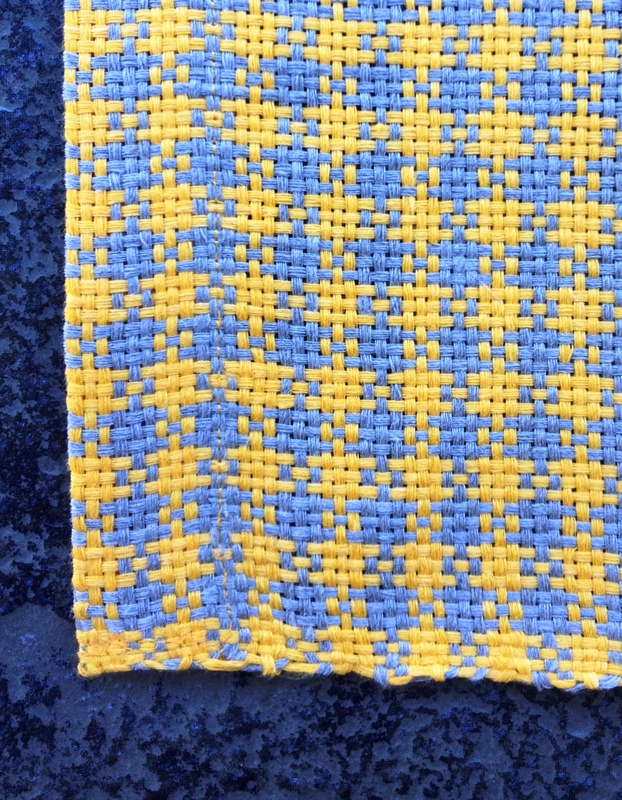 Pattern 97 for Placemat, color shown is cobalt/grey with cobalt napkin. Pattern 532 for placemat or Runner. 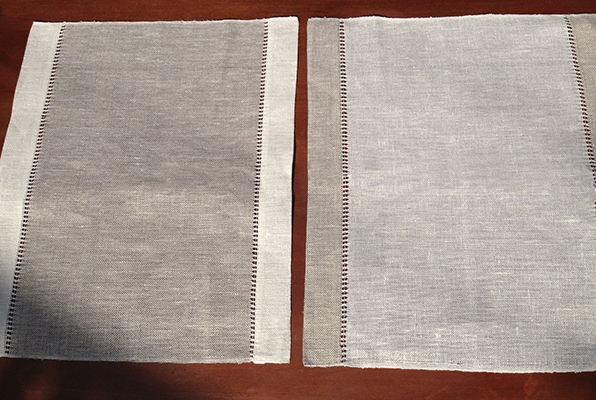 Both can be finished with flat hem as shown or with hemstitch border at sides/ends. 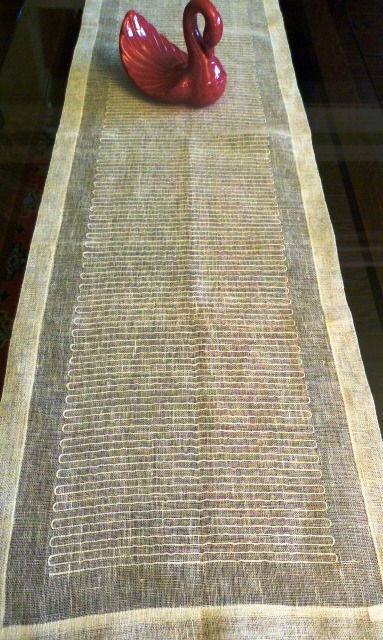 Article 435 Placemats with Hemstitch edges on two sides. 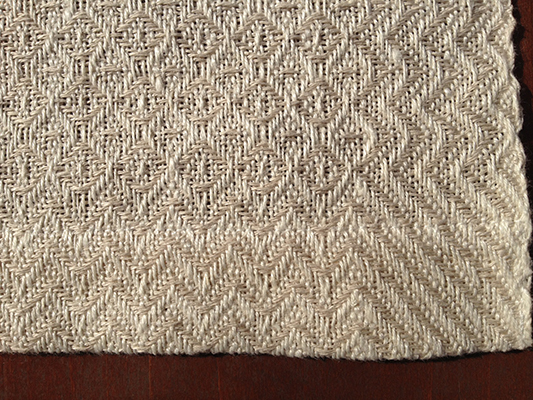 Featured here are 4 colorways: white, natural flax, oatmeal, and buckwheat. 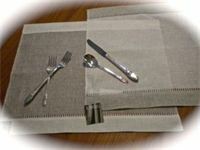 Placemats Article 464 showing reverse colorways. 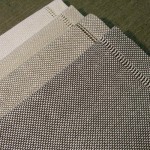 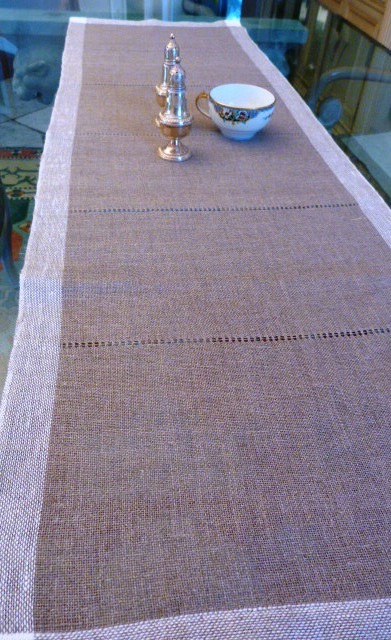 Matching Runner available in several lengths. 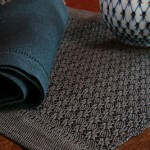 Placemat Article 476; two colorways: brown or beige herringbone pattern. 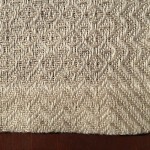 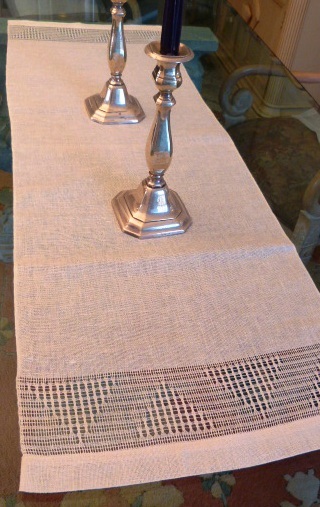 Table Runner Article 464 with dark “natural flax” center, “oatmeal” border, and decorative hemstich. 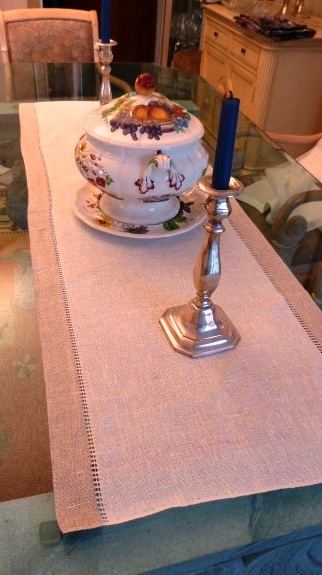 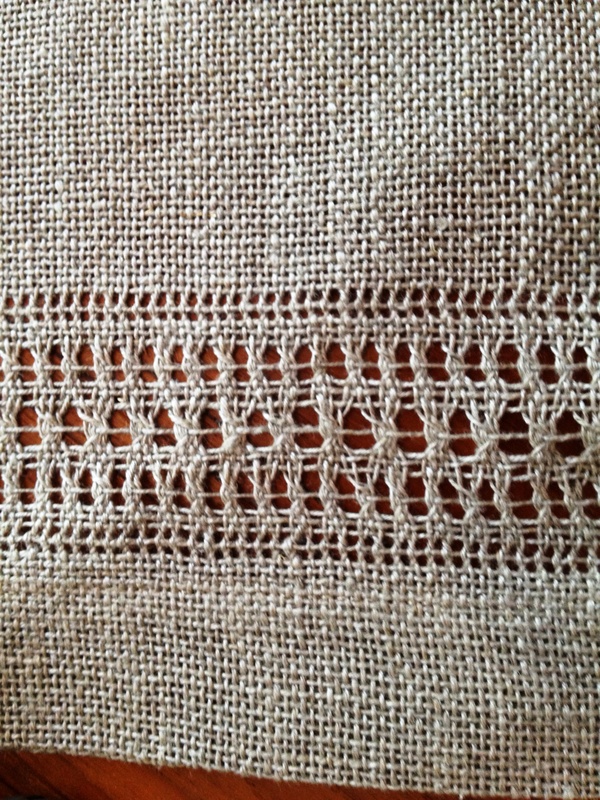 Table Runner with Art Nouveau hemstitch borders. 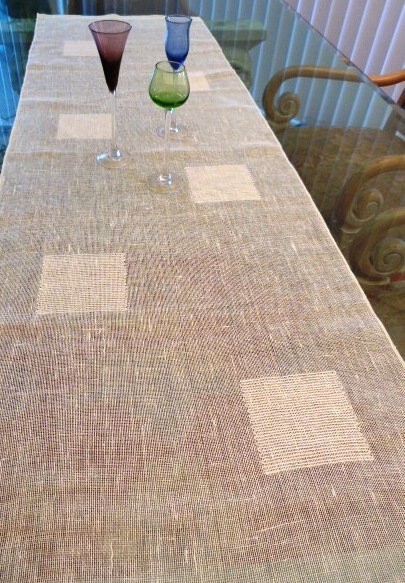 Table Runner Article 360 with white center, natural flax border on two sides. 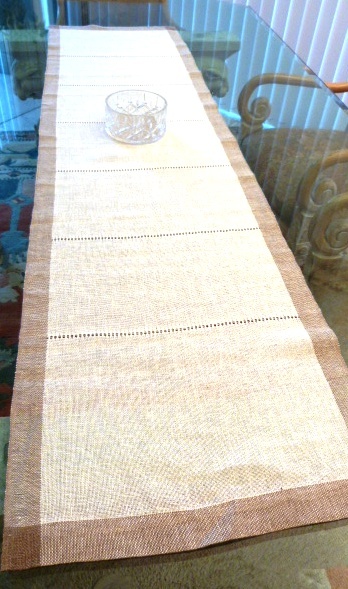 Table Runner Article 464; white center, natural flax border with decorative hemstiching in the center.